Mueller, Inc. has a long track record of hard work and strong dedication in the industry, having been in the business for over eight decades. Based in Ballinger Texas, the company was founded by Walter Mueller. It had its humble beginning as a water cistern provider to local farmers and ranchers before it became today’s icon for steel buildings, metal roofing panels and other components. The company has three facilities in its main office in Texas and 30 other facilities in the South, West and Central parts of the U.S., including Louisiana, New Mexico and Oklahoma. It employs over 600 people in total. 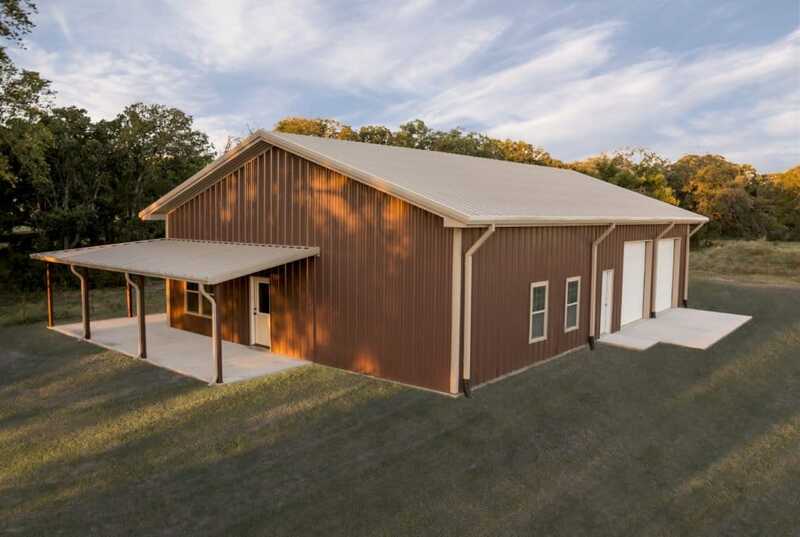 Steel buildings Mueller offers various products ranging from backyard kits to a myriad of components for agricultural and commercial purposes. Mueller has a standard series of pre-designed buildings that are perfect for barns, workshops, garages and other large storage areas. It also offers fully-customized buildings, from interior and exterior features down to the type, accessories and color of the roof. Greenhouse kits and carports to protect vehicles from the scorching southwest heat are also available. Mueller steel buildings also sells directly to homeowners. As much as possible, it wants to work with directly with clients in the design of the building. Mueller manufactures all the prefabricated buildings it sell at its own manufacturing facilities. It also has its in-house engineering that maintains the quality of the products and assist the clients whenever needed. What makes Mueller stands out from the competition? Reliability. Speaking of reliability, Mueller Metal Buildings is a name that you can trust. Aside from being structurally sound, the buildings being offered by Mueller are cost-efficient as they are easy to assemble and require low maintenance compared to standard buildings. The structures of its building are bolt-together for ease of construction. Not to mention, the prices of Mueller buildings are far cheaper than the rest. Durability. Mueller buildings are the strongest in the industry. The company only uses high-quality 26-gauge steel for every unit. They are often 33% thicker than other suppliers and the industry’s standard. Therefore, these stronger panels are less vulnerable to oil canning that is common in some metal roofs.Still in doubt? There’s nothing to worry about as the company has an extensive warranty coverage, ranging from 20-30 years. The time span, however, varies according to product type and on the component. A 26 gauge-roof for instance, has a 20-year limited warranty while a 26-gauge walls have 30 years.The quality of the roofs of Mueller Metal Buildings was evaluated by the Underwriters Laboratory through UL2218 guidelines. They were all given the highest ratings after passing a test that involved dropping a steel ball twice on the roof. The objective of the test was to ensure the roof is free from cracking, fracture, splitting and other signs of failure. It checked on whether the roof can withstand stress elements above normal usage conditions.Impact resistance was classified into four classes, from Class 1 to Class 4. All of Mueller building’s roofs were classified under Class 4, which means they exhibit the highest level of resistance that not even bouts of hail can cause breakage. Energy-efficiency. Mueller Metal Buildings also performed well in an energy-efficiency test. The test found out that the units only have 3-5% absorption rate of heat coming from the sun. 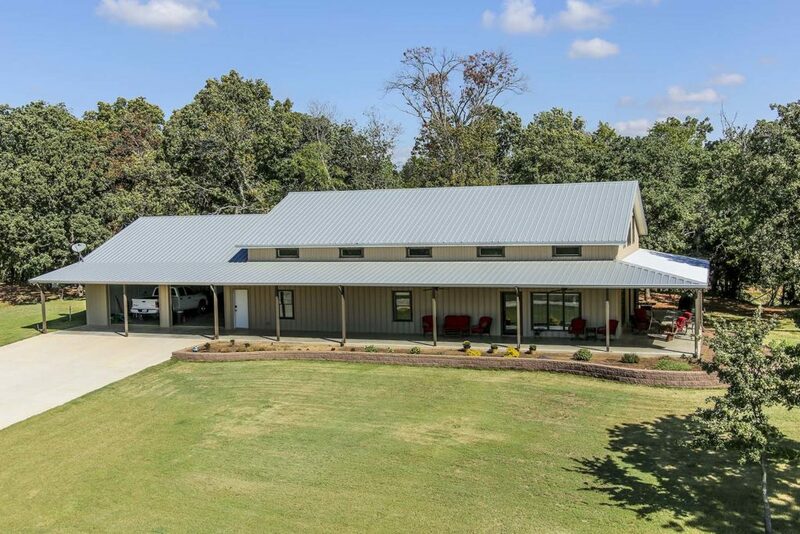 With only a minimal heat passing through the insulation, this means that the units can stay relatively cool despite high temperatures outside.The metal roofs of Mueller buildings also provide a 50% savings in energy when compared to asphalt roofs. It can also be as much as 100 degrees cooler. How much do Mueller Buildings cost? Below are the starting points for different Mueller Buildings, depending on their purpose. The cost is higher for units with higher wind resistance. Wind resistance ranges from 115mph to 150mph. Kindly take note though that prices may vary depending on the location and inflation. Mueller Buildings also offer carports and greenhouse kits with multiple options. With around 30 locations all over central and southwest United States, Mueller, Inc. is one of the biggest suppliers in the region. The company Mueller, Inc. has had a long history in the manufacture and distribution of steel buildings. Mueller Metal Buildings continue to be the top choice among Texas residents and those of surrounding states because of the company’s devotion to customer service and the distribution of only top quality products. They are the result of stringent quality assurance measures and priority in satisfaction. With Mueller Assurance to back up your preferences, you can be sure that you’ll get only the best. Today, Muellerinc.com have been providing the best storage solutions for residential and commercial purposes. From manufacture to planning, delivery to installation, Mueller, Inc. professionals can supply all-around solution to your storage requirements. Mueller, Inc. ensures that all clients are fully informed up front of what to expect when transacting with them. The Mueller Assurance also guarantees top service and products from start to finish, with only highly professional and trustworthy installers and contractors available for your benefit. With Mueller, Inc. you’ll get full support that no other company can deliver.